How much to spend for Halloween? Soon it will be Halloween again. Yup.. the annual event is being celebrated worldwide on 31 October. And, in Miri, we can see that various entertainment outlet is throwing their patrons a Halloween party this Saturday night. One outlet that I know of is Tajau Mas, owned by the renown Iban artist – Ricky Andrewson. Tajau Mas is located on the lobby floor of Richmond Inn at Jalan Setia Raja. And, if you are thinking of going for Halloween shopping, try Siong Lee at Pelita Commercial Centre. They offers various Halloween item for sale – from gadgets to clothing.. 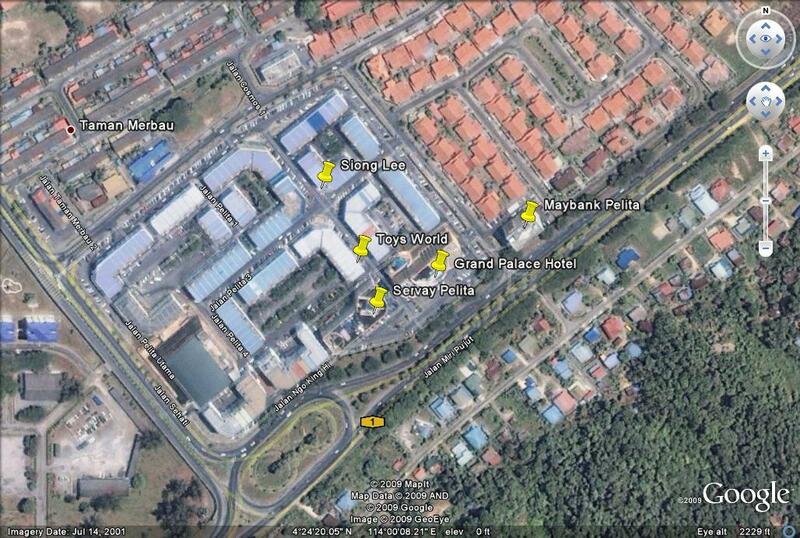 If you are new in Miri, here is a map for you to use. Click on it for full version. Cheers and Happy Halloween.. check out RumahDayak.com Halloween Party at Mega Hotel!